Andrew Herrig with Wealthy Nickel shares one of his favorite credit card hacks: He and his wife try to sign up for at least two new cards per year. Some of the best ones he’s found include the Chase Sapphire Preferred® credit card, which offers a 50,000-point sign-up bonus if you spend $4,000 in the first three months after opening the account. For small business owners or entrepreneurs, the Ink Business PreferredSM credit card also has an 80,000-point sign-up bonus if you spend $5,000 in the first three months. If you travel, you can use your credit card reward points towards airfare (airfare is usually one of the best values as Herrig mentions his family gets about $1.50 per point towards airfare when it’s time to redeem their points). He details one specific trip where his family took a trip buying three tickets with 60,000 points, getting nearly $900 worth of travel for free here. By doing their regular credit card hacking, they haven’t paid for a plane ticket in almost three years. Max from Tried and True Mom Jobs suggests using one credit card for everything to accumulate all your points with one issuer. Her family uses the Chase Freedom® credit card and earned over $500 last year which they used for Christmas gifts. She outlines how exactly she makes this work on her blog here. This is free money you get — as long as you pay credit card bills off each month and make on time payments. It may seem self-explanatory, but for credit card hacks to get you more rewards, you have to use them. While credit cards may tempt you to spend more than you have, cash offers zero perks. You can often use cards for things like utilities, daycare, or other things you’d be spending anyways so you can get points on them. By budgeting your dollars and picking the right cards for you, you can use those credit cards to help you get more points or money. Just make sure you can pay what you spend off each month to avoid paying interest. If there’s a card you’re eyeing with a great sign up bonus, Clint Proctor with The Wallet Wise Guy suggests that you and your spouse or significant other each apply for the same card (rather than just getting an extra card for the other person) so you can both qualify for the extra bonus points. Proctor and his wife use this credit card hack to get twice the sign-up bonus. For example, with the Chase Sapphire Preferred® credit card mentioned previously, you could both end up getting 50,000 extra points. 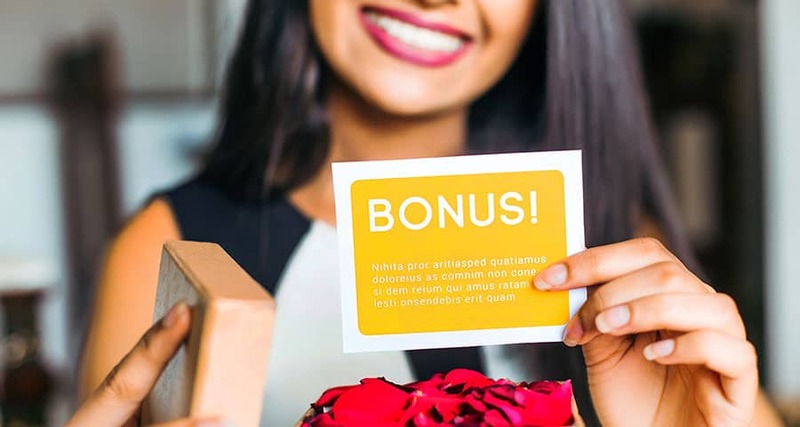 You may want to stagger your applications, though, so that one of you gets it and then after spending the amount necessary for the first bonus, the other can apply and get the second bonus offer. While this is a more involved way to hack credit cards, it can pay off big. It does require management and tracking to ensure you’re paying attention to hitting numbers to get bonus points and reviewing any annual fees to ensure you’re truly getting the benefits and value from the cards. Starting with one card and working your way up to a more advanced level is a common practice. Evan Sutherland, co-founder of Budgeting Couple, notes that by putting your credit cards on autopay your statement balance will be paid off in full automatically every month. This simple hack will force you to use your cards wisely and not charge more than you have available. It will also keep you from losing money by paying credit card interest or getting hit with late fees if you forget to make a payment. If you’re too nervous to put credit card bills on autopay, at least make sure you set reminders at least to make sure you don’t miss a payment. Missing a credit card payment not only means you pay more, but it can make your credit score drop if you’re more than 30 days late paying your credit card bill. R.J. Weiss, a Certified Financial Planner and founder of The Ways to Wealth, explains that balance transfers can be a godsend when you have a troubling amount of credit card debt. Doing a balance transfer from a higher interest rate credit card to one with a 0% promotional offer can save you lots of money and help you knock out your credit card debt more quickly. Weiss reminds cardholders that balance transfers only really work to your advantage if you pay attention to the terms (how long that 0% rate will last and what are the fees to transfer a balance to your new card) and as long as you avoid racking up more debt on the card you just freed up. Logan Allec, a CPA with Money Done Right wants small business owners to know that they shouldn’t use those miles or rewards points on business trips. This is because if you pay for your business trips out-of-pocket using your credit card, you may be able to take a tax deduction on your trip expenses. However, if you use your miles to pay for your business trip, you can’t take a deduction. The smart move is to rack up miles on your business card but to use these miles to fund your personal travels, which wouldn’t have been tax deductible anyway. It’s nice to fund a vacation this summer with all the miles you’re racking up on your business card. Cara Palmer, who blogs about her journey to pay off debt and accumulate wealth, suggests using a site like Ebates to get even more cash back. Pairing this with a card that provides rewards lets you get additional rebates when you buy things on certain websites. Cara uses the Amazon Prime Rewards Signature Card, which offers 5% cash back on Amazon.com and Whole Foods purchases, 2% back on charges at restaurants, gas stations, and drugstores, and 1% cash back on everything else. Sa El, co-founder of Credit Knocks, suggests that if you’re carrying a balance on any of your credit cards you may want to contact your credit card issuer and request a credit limit increase. An increase in your credit limit will, in turn, decrease your debt to credit ratio (also known as your credit utilization ratio) because you’ll automatically use a lower percentage of your total available credit. Additionally, if you pay off some or all of your credit card balances, you may see your credit score increase even more. You will likely see an improvement quickly (in one to two months) when you get an increased credit limit or pay off credit card debt because your creditor will report the updated reduced credit usage to the credit bureaus. Once you get those welcome bonus points or after you pay off a credit card, you may decide you no longer need a specific credit card. However, it usually is a good idea to keep the credit card account open rather than close the account altogether. If you don’t want to risk racking up debt on it, you can cut up the card or hide it away in a safe spot at home. The only instances you may want to cancel your credit card is if you have a high annual fee that isn’t worth paying or have a low credit limit (unless you can get it raised as mentioned above). 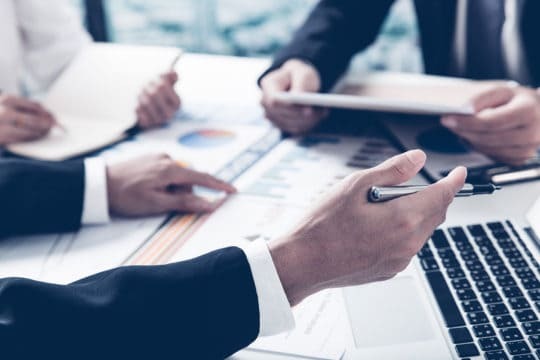 Credit utilization – Closing a credit card account decreases your total available credit, so if you have any credit card balances then your credit utilization will increase since you’ll have less available credit with one less card in the mix. Length of credit history – While not as much of a factor in credit scores, it still does impact it. Keeping a credit card account that’s in good standing increases your length of credit history, showing potential lenders and creditors that you have more experience managing your credit (so they’ll likely see you as a lower risk). Jim Wang, founder of Wallet Hacks, suggests that if you’re a frequent traveler (or even if you just don’t like taking off your shoes and removing your laptop from your bag) you should find a credit card that helps you get free TSA PreCheck or Global Entry (which helps streamline the process with international travel). There are several rewards credit cards that offer reimbursements for these programs that make these perks free to you. If you travel a lot or often have connections, getting access to lounges can make your trip more comfortable since you’ll often get free food, drinks, and Wi-Fi along with comfortable seating, nice bathrooms, and even sometimes showers or other services. Cards like the Chase Sapphire Reserve® and The Platinum Card® from American Express have higher annual fees than some other cards, but both offer access to a network of airport lounges among other perks. Most credit cards offer various types of alerts and monitoring to keep an eye out for any purchases that aren’t yours. American Express: Amex offers various purchase alerts so you can get notifications whenever your card is used over a certain amount to manage your balance and find out if something you don’t recognize if anyone makes a purchase on your card. Additionally, cardholders can enable push notifications in the Amex app to get instantly notified when suspicious charges are detected. Chase: Chase cardholders can activate email or SMS alerts to notify of purchases over a certain amount. Also, you will get notifications when a suspicious charge is attempted. Discover: Discover also offers email and SMS alerts and focuses on protecting your account so it can’t be accessed by anyone else. Many other card issuers and financial institutions offer fraud alerts and protections to try to keep you from dealing with the stress of having your card number stolen and to help them avoid losing money on fraud. So, use the tools they provide for you and check your statements every month to make sure that nothing appears on there that you don’t recognize. When looking to get more points with bonus offers or get the most cash back, it’s important to pay off what you spend every month. Many rewards credit cards have higher interest rates or APRs (annual percentage rates) because you get rewards points, so if you rack up interest charges month after month you’ll usually cancel out the value of any rewards points or cash back you earn. Regardless of your goals with credit cards, you’ll want to make sure to pay your credit card bills on time and keep your credit utilization (the amount of credit used compared to your limit) low. Also, if you find yourself dealing with credit card debt, take immediate action to get your cards paid down. If you’re struggling to pay off credit card debt so you can regain control of your finances, we can help. Get a free consultation to find the best way to get out of debt for your situation. Article last modified on April 25, 2019. Published by Debt.com, LLC . Mobile users may also access the AMP Version: Debt.com’s Ultimate Credit Card Hacks Guide - AMP.